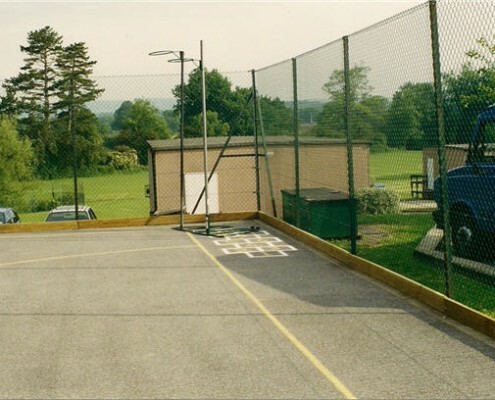 This 1.2m high chain link fencing on concrete posts was erected at a school near Margate, Kent. 1.8m high chain link on galvenised angle iron posts with base plates for bolting down to a concrete wall. 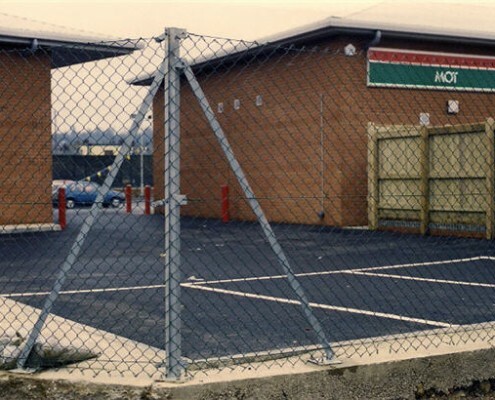 This fence was erected at a commercial site in Tonbridge, Kent. 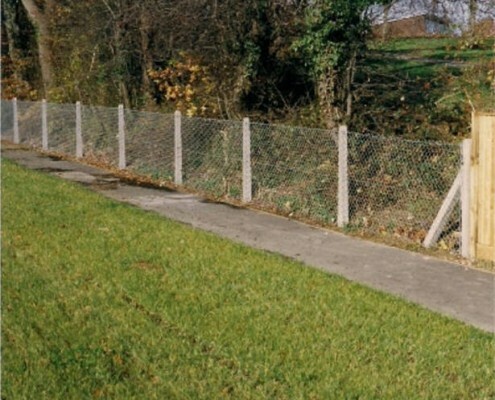 This 2.4m high chain link fence on cranked concrete posts with three strands of barbed wire forms a useful security fence. 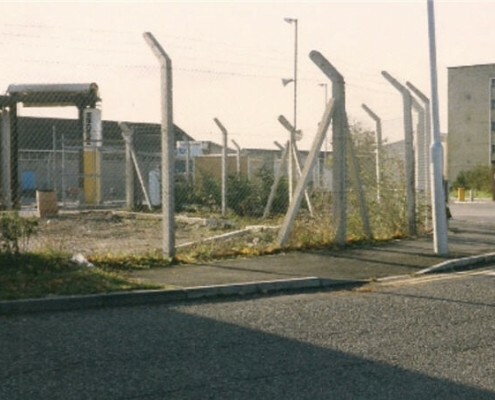 This particular fence was erected at an industrial site near Oxted, Surrey. This 2.7m high Chain link fencing on angle iron posts has a 150mm high timber kick board or “rebound board” fitted. This fence prevents most balls from escaping & the bottom board helps to prevent the mesh sagging at the bottom. 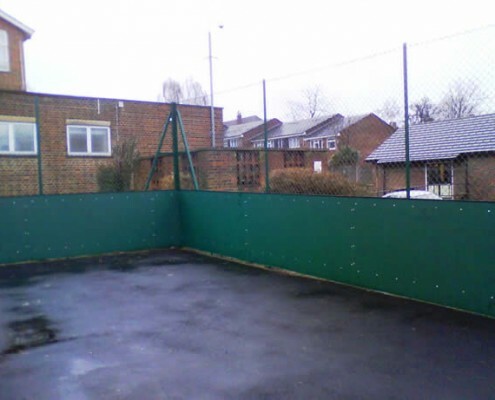 3m high chainlink fence to playground with special long lasting Futura advanced technical panel (sports rebound board) comes in five different colours.